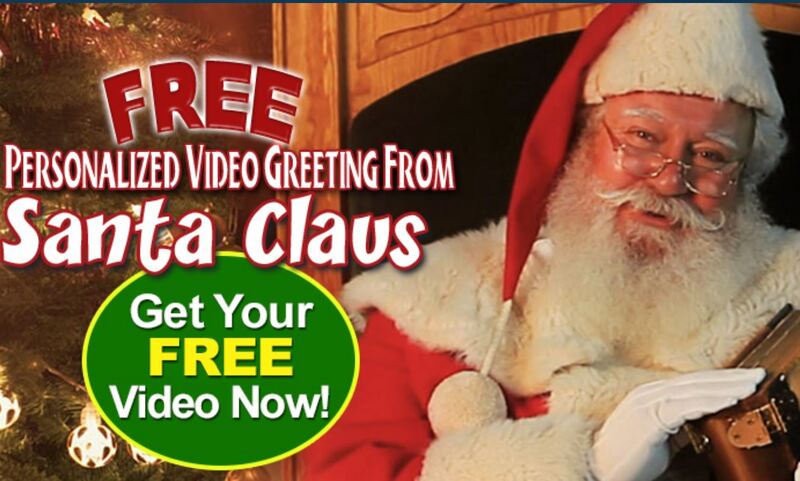 Free Personalized Videos From Santa, Free Personalized Santa Phone Calls + Santa Trackers! 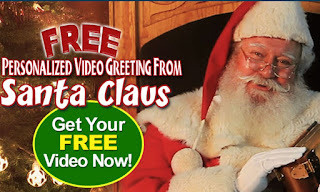 Free Personalized Phone Call & Video From Santa for your child. Just click the link below then click then click get started. They will then ask you question to personalize your video. You don't have to answer them but the more you answer the better the video will be. Free Personalized Video From Package of Santa - choose the free option when signing up. Must wait an hour after you make it before you can watch it. Just skip all the offers to upgrade to the paid video (scroll all the way to the bottom of the page to get your video for free on the last page). The sign up is a little Spammy but the site is legit and you do get the video at the end, just avoid all the upgrading. You can also Call The NORAD Tracks Santa Operations Center at 1 877 HI-NORAD (1 877 446-6723) to talk directly to a NORAD staff member who will be able to tell you Santa’s exact location. Operators are available until 3:00a.m. on Dec. 25th to answer your calls.